A fire control and safety solutions provider has strengthened its workforce confirming three new appointments to support its growing pipeline for 2017. 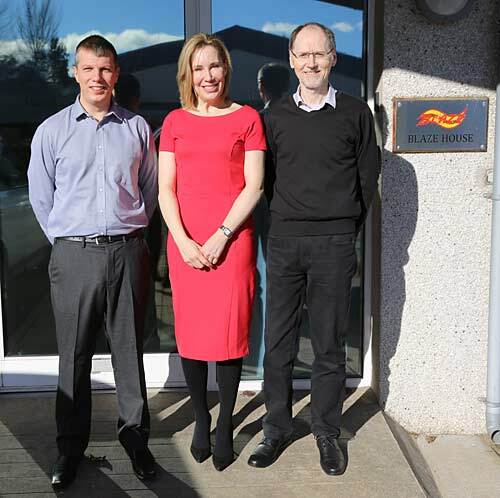 Blaze Manufacturing Solutions, which is now in its 10th year of trading, has appointed David Watkins and Gareth Dean as fire and safety engineers, as well as contracting Leanne Thomson as legal council to help augment the firm’s diversification into new markets. The team of 32 is set to endure a robust start to 2017 after securing a number of contracts at the tail end of last year. Blaze’s healthy order book is a testament to its willingness to diversify into new markets including renewables, mining and the Ministry of Defence, with oil and gas now only accounting for 16% of the company’s pipeline. Leanne Thomson, who joined Blaze in December last year, brings more than 20 years of legal experience working on a consultancy basis through her firm Oil & Gas Legal Ltd. Ms Thomson will support Blaze in its diversification, helping the team to minimise risk through reviewing and negotiating contract terms, as well as establishing long-term relationships with clients and suppliers in various markets. David Watkins & Gareth Dean joined Blaze early this year to support design and engineering projects for the firm’s firewall systems, from the development stage right through to handover. Both have extensive experience in the field of engineering, having previously worked for one of Blaze’s main competitors for a number of years. Mr Watkins is also a qualified VESDA (Very Early Smoke Detection Apparatus) engineer, a specialised sector in which Blaze aims to expand on to enhance its control systems offering through further investment.